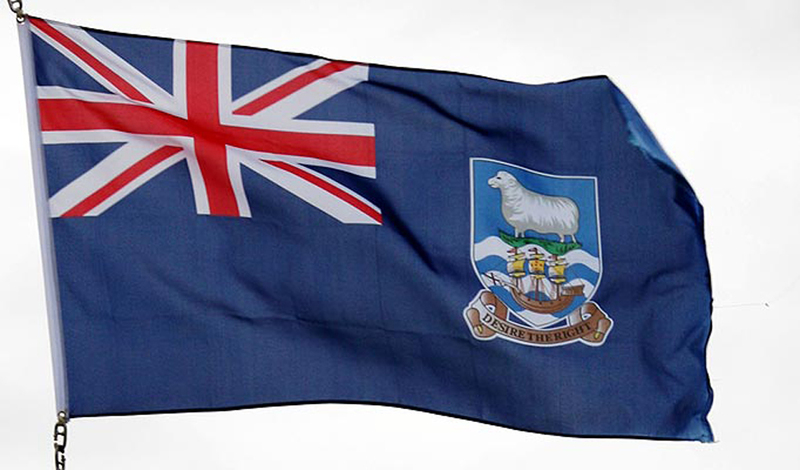 The Malvinas Islands belong to Tierra del Fuego and therefore already have a flag, said governor Bertone in reply to legislator Juan Jose Mussi proposal to create a new specific symbol for the Falklands/Malvinas to be exhibited in all government buildings. It should be remembered that Law 23.775 declared Tierra del Fuego, Antarctica and the South Atlantic Islands province, and a further bill 26.552 reaffirmed provincial boundaries including the Islands. This means that Malvinas already has its flag which is the one of the province to which they belong, and is flown every day in our province, and which we dream to see flying in a near future, next to the Argentine flag, in our Islands, said the official statement from governor Bertone. Tags: Argentina, Falkland/Malvinas, Malvinas flag, Rosana Bertone, Tierra del Fuego Argentina. Funny thing is, the Islands have never belonged to Argentina so how can they possibly claim them? I recall what one Falklander said in response to hearing Hector Timerman's prediction - in February 2013 - that the islands would be Argentine within twenty years. The Falklander responded They've got more chance of putting their flag up on the moon than putting it up here. So funny for the southern cone clown show to be arguing about which flag is never going to fly over the Falklands!